by the incoming Chapter officers for 2019-20. The EPHS Chapter of the National Honor Society inducted 75 new members in a ceremony held, once again, in the Auditorium. Each inductee must have a minimum grade point average of 3.75, have met standards for service, leadership, and character, and have passed review by a faculty committee. The induction cremony included aspects of NHS cremonies dating back to 1921. The program was orchestrated and conducted entirely by student members of the EPHS NHS Chapter. It was well organized, meaningful, and personal. It is worth noting that some inductees are ESL (English as a Second Language) students. Also, some came for high school at EPHS from homes in Cd. Juarez. These factors are not different from the 1960s and continue to demonstrate that neither nationality nor native language are absolute obstacles to the exercise of intellect, upstanding character, and leadershp among teens given opportunity. El Paso High School continues to afford such opportunity to a broad swath of the community. In UIL competion on 3 April 2019, the El Paso High School Varisty String Orchestra garnered only "1" ratings. Perhps the more appropriate description is that the performance drew the top rating of "1" from every judge. Those who have been in UIL Fine Arts competitions know how difficult it is to earn unanimous acclaim and how much time and effort goes into preparing for this type of graded performance. If you would like to witness the peformance by these talented EPHS students, go over to the El Paso High School Tiger Alumni FaceBook page for a view and listen to the approximately 15 minute performance. Chances are you'll be left wanting more. Congratulations to the Tiger musicians and Director Joel Rangel. Tigers, the El Paso High Alumni Association is seeking nominations for the Outstanding Ex of 2019. 4. The nominee must be available to participate in Homecoming activities on 3 & 4 Oct 2019. Thank you Tigers! We are excited to see who the EPHS Alumni Outstanding Ex will be in 2019! Alumni Included in this "show your loyalty" offer! After several years of ordering yard signs for their own swimmers, the EPHS Swim Team decided to turn the process into a fund raiser by opening ordering to individuals and teams from virtually any high school in El Paso County and just about every sport or activity authorized by the University Interscholastic League. That means that if you have a grandchild or a neighbor in high school band or cheer or wrestling, you may purchase a personalized 24" x 18" PVC yard sign (green metal stake and attachment screws included), bearing the student's name, the high school name and mascot, and the sport/activity in which the student participates all in a simple process which takes just two minutes to complete. Sample yard signs and some of the sport/activity symbols available. It is so simple to do, you really ought to consider ordering a yard sign for each sport/activity in which the student is engaged: e.g., one for cheer, one for track, and one for ballet folklorico or orchestra or... And what about yours? You're an alumnus. Why not place a sign in your yard identifying you as a El Paso Tiger alumnus? Yes, "Alumni" is an option (mascot only; no sport or activity symbol). 1. Click on this link or cut and paste it into your browser: EPHS Swim Team Fundraiser Athlete Yard-Sign Form $45.00 EA. 2. Use the order form to enter the Name to appear on the sign, then select from the drop-down menues the high school, the sport/activity or Alumni, and the Graduation Class Year of the person named on the sign. 3. Proceed to the page to enter the Credit/Debit Card information for the $45.00 payment for each yard sign, individually. Voila! Your finished. Don't worry, before you placed the order, the form asked for your E-mail address and your wireless phone where you may be contacted with a Text message, so the sign printer can get in touch should there arise any questions. You'll be contacted when the yard sign is complete, generally about ten days after order placement. It doesn't get much easier for the purchaser. So, don't put-it-off. Make a list of the yard signs you'll order and be sure you have the correct Class Year for each person on your list. Use the link above and place your orders before this offer closes. "See, see, see, the 'E'!" was the popular chant that announced to the audience in RR Jones Stadium that El Paso High's "E" on the mountain had been lit to signify to the community that the proud Tigers were defending the Orange & Black on their home field. The lighted collegiate "E", accomplished by placing dozens of oil cans filled with sawdust and kerosine into the form of the "E" on the mountainside near where is now the KVIA television transmitter, was a seasonal expression of the Tiger spirit. But close-by on the mountain was a white washed "E", also for El Paso High, which was visible everyday throughout the year. The "E" Association, a volunteer aggregation of EPHS students, assumed the task of preparing and igniting the "E" during football season and in the sping the intrepid "E" Associaiton members took-on the arduous duty of white washing the "E" to keep it well defined on the west side of Mount Franklin. How these traditions began is the topic of Trish Long's article in the 20 May 2018 El Paso Times: A look back at the history of the letters on El Paso's Franklin Mountains and NMSU's 'A'. Actually, the "E" is hardly mentioned, but El Paso High is credited with initiating the concept in the 1920-21 school year; Long's article is mostly about UTEP's "M" and NMSU's "A." El Paso High's "E" faded from the slope of Mount Franklin in the 1970s because of a city ordinance which forbad such displays; school district regulations, and a general risk aversion pertaining to injuries which may occur while packing gallons upon gallons of white wash up the mountain and returning back to a more safe terrain at a parking area along Scenic Drive. The lighted "E" was prohibited also for much the same reasons, although the flickering, orange glow of the cans afire was a beautiful sight set against the blackness of the night. Today there is a whitewashed "E" in the vicinity of EPH's original "E." The new "E" first appeared in the Spring of 2015. It was not an "E" but a crude "C". On the second day after the appearance of the "C" the figure had been turned into an "E" by squaring-off the corners of the "C" and adding a center prong. Of course, the suspicion was that new "E" had been painted on the mountainside by El Paso High afficionados, but there was no evidence of that. In fact, the "C" appeared preceding the Cathedral High School Senior Prom. There were, of course, denials from that quarter, too. The owner of that portion of the mountain did, later, admit privately that when the "C" appeared, he arranged for his employees to make the change to an "E" in keeping with tradition. The land owner is an alumnus of Cathedral but has close family ties to "The Lady on The Hill." 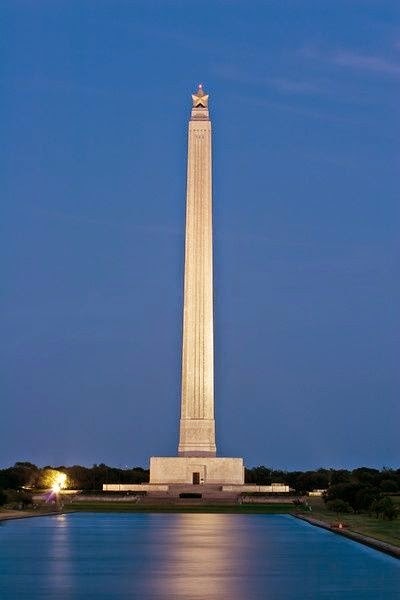 On the east side of Mount Franklin, Austin's "A" is still displayed as is an "I" for Irvin. The reason the "A" is still maintained is that the owner of the property permits it and the story is that the land owner gained a variance from the city's beautification ordinance which otherwise put an end to whitewashed school letters littering the mountain. The "E" on the mountain was part of El Paso High tranditons for nearly 50 years. In more recent year, the tradition has been literally re-ignited during Homecoming with the Eve of The "E" Ceremony in RR Jones Stadium. Instead of using sawdust and kerosine in oil cans, the Senior class creates a design featuring the "E" on the field using lumenaria lit by battery powered tea lights. It is not quite the same proclaimation from atop the mountain, but each suceeding Senior class endeavors to out-do the previous class, so creativity has a larger part than in the past as each Senior class assumes the role of The "E" Association to light the "E" for Tigers' Homecoming. The EPISD Board of Trustees have voted to fund a qualified architectural study to determine what and how best to conserve the historic 1916 El Paso High School Building. The El Paso Times story on the project may be viewed by clicking here. While you are at that webpage, be sure to watch the brief video prepared by the Times archivist, Trish Long, to mark the 2016 Centennial of the El Paso High School building and amphitheater (RR Jones Stadium). This move by the EPISD Board of Trustees comes about as a result of the district's largest ever bond issue passed in 2016. The EPHS portion of the bond issue included a Fine Arts building on the EPHS campus and funding for upkeep of the exterior of the 1916 EPHS building. That "upkeep" or "maintenance" was basically nothing more than a power wash of the brick and mortar. But The El Paso High School Alumni Association stood-up and demanded to be heard. There was much more to the exterior maintenance of the building than contracting for a wash down. An ad hoc committee of alumni was extablished to work with the EPH'S campus committee on plans for this project, including the Fire Arts additon. The Association's ad hoc committee includes an architect, a building contractor, and specialists on the historic nature of the building, and others who have brought a more full recognition of what is involved and required for conservation of the 1916 building. 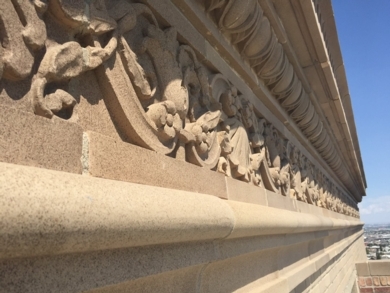 Indeed, the cost to properly restore and conserve the exterior of the iconic building would probably be as much as six times more than the bond funds manager for the district had envisioned. Because the El Paso High School building is listed on the Texas Register and National Register of Historic Landmarks, applicable law requires a survey be conducted by a qualified conservation architect be undertaken before such work could be done. Not only were school district officials ignorant of that significant fact, they were unsure how to go about engaging such an architect. Enter Anna Mares, a Director of EPHS Alumni Association and, while a student at EPHS, lead the campaign to have "The Lady on The Hill" recognized as a national historic landmark. Mares, of course, is a member of the Association's ad hoc committee monitoring and advising the school's bond fund committee and the district's officials. So, working closely with those district functionaries, the EPHS alumni (Mares [Class of 80], Jim Wofford [Class of 65], Amada Flores [Class of 63], and Sandy Aaronson [Class of 64]) helped to draft the Request for Qualifications (RFQ) necessary to attract conservation architects and they have assisted the district to develop criteria with which to evaluate RFQ's received. 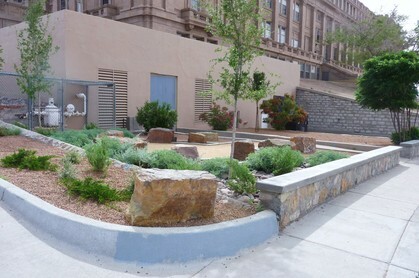 The processing was done by EPISD and a recommendation was eventually proposed to the Board of Trustees who unanimously agreed to fund the survey, the report from which will be a roadmap of sorts of what needs to be done and how to accomplish that preservation of a noteworthy architectural monument and a principal historic landmark for El Paso. U.S. News & World Report rated Dallas' School for Talented and Gifted the best in the country and the best in Texas. The schools also made the list of the 204 best high schools in Texas, with Harmony Science Academy clocking in at 38th in the state, Valle Verde at 83rd, Harmony School of Innovation at 95th, El Paso High at 121st, Silva Health Magnet at 141st, Davinci School at 147th, Coronado at 155th, Del Valle at 184th, Eastwood at 199th and Hanks at 203rd. The schools are ranked based on student performance on state tests, graduation rates and how well they prepare students for college. Congratulations to the El Paso High Faculty and Administration together with students and parents for this outstanding performance recognition! 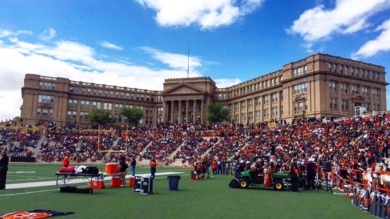 On 16 September 2016, the Student Body of El Paso High School assembled in RR Jones Stadium to celebrate the 100th anniversary of El Paso's first and finest high school. The students, in orange and black, were seated in the west end of fabled RR Jones Stadium below the front steps of "The Lady on The Hill" who would mark her 100th birthday on Sunday 18 September 2016. By proclamation of the Mayor and City Council of El Paso, that day would officially be El Paso High School Day in the city. 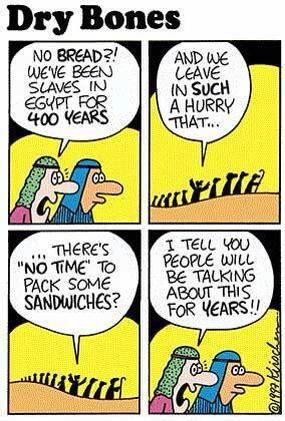 On the same day,. the high school on the hill would begin its second century of "molding lives and careers," being a bona fides historic landmark and state and nationally registered place of distinction. City Council Representative Courtney Niland read the City's proclamation (see the following story) and a letter from Texas Governor Greg Abbott was read by Larry McManus, a member of the governor's staff and a member of the EPHS Class of 1983. Sixteen September, also being Mexican Independence Day, el grito, "Viva la High!" was often exclaimed from the stage and in response by the student body. Additionally, El Paso High's 1885 Original Central School Bell tolled 100 times, once for each year this palace of learning has served students and the community as a center for fine arts, athletics, discovery, and education. A unique feature of the Student Body assembly was that a photo was taken utilizing a remote contol, flying camera (a drone). The photo depicts, from high above, the image of the student body and faculty seated in the stadium yet leaving seats unfilled to form the digits "1" and two "zeros" as depicted in the ground-based photograph at the top of this report. and as seen at the end. As the 1885 Original Central School Bell struck its 100th toll, the student body erupted in cheers and waved orange leis they had been wearing to make the occasion more festive. Choir Director, Mr. Tim Thompson, responded to the cheers and lead the assembly in a rousing chorus of "Happy Birthday" to the stately and revered "Lady On The Hill." Viva la High as her students embark on the high school's 132nd year and the outset of another 100 years "On The Hill." Happy Birthday El Paso Tigers, whereever you may be! May your spirit never die! And now that photo from the drone. Notice how the "El Paso" on the end zone captions this photograph by Michael Reece, 2016 Outstanding Secondary School Teacher for EPHS, EPISD, and Education Region 19. Outstanding, as usual! Well done students, faculty, and staff!!! 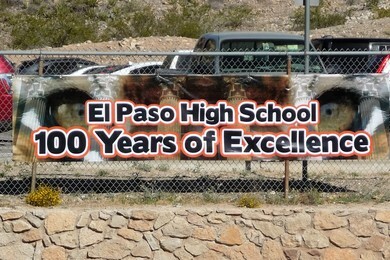 The banner shown above was previewed in January during a media conference initiating the EPHS Centennial Legacy Series, but it had it's debut on 24 March for the Legacy Series presentation about Sports at the El Paso High School "On The Hill." The unique banner will be displayed at various events during the Centennial Year, including the Centennial Celebration on 8 October when The Claw Game will be contested in RR Jones Stadium followed by the world record attempt for the World's Largest High School Reunion. The banner is also expeted to be marched at the front of the El Paso High School Centennial Section in the annual Sun Bowl Parade on Thanksgiving Day 2016. The El Paso High Alumni Association is also sponsoring a float to mark the centennial of "The Lady on The Hill" where the Sun Bowl was born and it's first three games played in 1936, 37, and 38. Now that you've seen this new banner while it was displayed on the parking-lot fence across the street from the Schuster Avenueu entryway, take another, closer look. You may not see the image of the columnaide from the portico at the front of EPHS, but can you you make-out why this banner is named "The Tiger Eyes Banner"? Yup, that's a tiger looking back at you from behind the columnaide and superimposed text. Had you missed those amber eyes? You won't again, will you? The idea for the design for this 15-foot long banner came from Susan Torres Macias, the Student Activities Manager at EPHS; she is an alumna of the Class of 83. 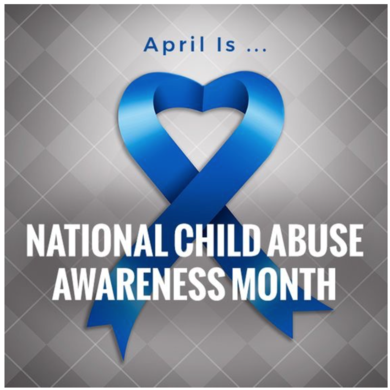 The banner was created under the direction of Jamie Rupley at El Paso's Perky Press. Anna Mares (Class of 80), an Alumni Association Director, generously underwrote "The Tiger Eyes Banner." Welcome to El Paso High School Centennial Year 2016. Take a moment to view this video, take in the excitement, then, if your are not yet a member of the EPHS Alumni Association, take a couple of minutes to join at EPHSalum.com. The Pride of El Paso • E-P-H-S Rah! Rah! Rah! A brief sample of the first Legacy Series presentation. This video produced by students of the EPHS Broadcast Journalism Class under the direction of Michael Reese, EPHS 2015-16 Teacher of the Year. Sandy Aaronson (Class of 64) and Betty Ann Seiler (Class of 62) talk about the El Paso High School Centennial Celebration. Linda Ong, a morning anchor for KTSM-TV, Channel 9, along with two cameramen were on the El Paso High campus to collect video and to conduct an interview with Janie Pierce Shockley (Class of 62) and Hannah Jay, a member of the 2016 Centennial Class. The feature story was broadcast on Friday (5 February) during the News Channel 9 Today program. Watch Ong's report by clicking here. Learn about "Two Languges, Two Cultures" Dual Language Magnet Program at El Paso High School. Former EPHS ROTC Cadets and Sponsors are invited to join an organization founded in 2003 to celebrate the comraderie engendered whille Cadets and Sponsors at EPHS. Some of these Tigers have been practicing close order drill to form alumni drill teams. Those alumni are now drilling with the Cadets at EPHS in anticipation of participating in the EPHS Centennial Celebration Legacy Series - JROTC & Military presentation on 12 May 2016. The marching Tiger alumni also envision participation in other events including drill meets and parades. 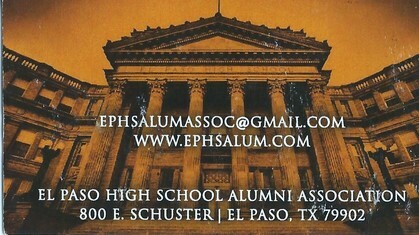 For more information about the EPHS ROTC Alumni, visit http://elpasohighrotcalumni.weebly.com . As the CD Jarvis Gym turns 50-years old this fall, the building was repainted inside and out and the gym floor got a much needed reconditioning. The gym arena was closed much of the summer as the floor's existing, aged varnish and paint were stripped. Where the flooring had become uneven over the years, the planks were refastened and leveled, chips and holes were filled, and the floor sanded smoothe before new paint was applied and new, high impact varnish laid-down. The gym arena floor was finally reopened on 21 August, just prior to the start of classes for the 2015-16 school year. 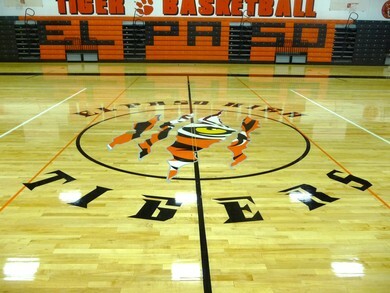 The center court mascot art and surrounding font (pictured above & below) are dramatic departures from a traditional motif which it replaces and which adorns most gym floors at high schools and colleges across the US. 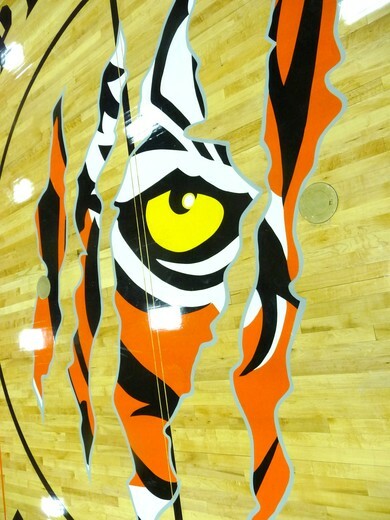 The new art depicts massive tiger claw marks which have ripped-open the gym floor to reveal a tiger peering out from underneath. The school district agreed to pay of portion of the cost of new mascot art and center-court font, but the bulk of that customizing cost was to be paid by funds raised by the Volleyball Boosters and the Basketball Boosters, the principal sports utilizing the gym. With gratitude, the following donors contributed funding necessary for commercial artist Jesse Corral to apply the unique artwork at center court of El Paso High's CD Jarvis Gym.. The Texas Education Agency's Accountability Ratings for all public schools was released Friday, 7 August 2015. El Paso High School achieved all seven possible Distinctions. El Paso High is the only one of the ten EPISD traditional high schools to earn every one of the seven Distinctions. Additionally, El Paso High is the only high school in the region to earn all distinctions three years in a row. The categories which comprise the TEA Distinctions are these: Academic Achievement in English; Academic Achievement in Math; Academic Achievement in Science; Academic Achievement in Social Studies; Top 25% Student Progress; Top 25% Closing Performance Gaps; and Postsecondary Readiness. Another EPISD high school, The Silva Magnet School for Health Care Professions, a non-traditional high school, was again recognized by the TEA for accomplishment by attainment of all TEA Distinctions. Also, Wiggs Middle School, the feeder to EPHS, was recognized for all Middle School Distinctions again this year. El Paso High School has been listed as one of “America’s Best High Schools” as reported by U.S. News & World Report. 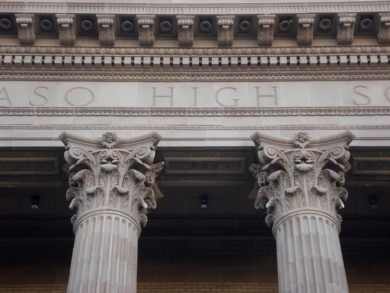 The distinction is based on key principles: that a great high school must serve all of its students well, not just those who are college bound, and that it must be able to produce measurable academic outcomes to show it is successfully educating its student body across a range of performance indicators. Step 3: Schools that made it through the first two steps became eligible to be judged nationally on the final step – college-readiness performance – using Advanced Placement or International Baccalaureate test data as the benchmarks for success. Congratulations to the Tiger team (students, parents, faculty, and staff) and community members who have worked to support and contribute to students' success at El Paso High School! Thanks to the EPHS PTSA for providing the substance of these reports. Strike-up the band with the familiar tones of the El Paso High Fight Song when your wireless phone rings. Now, for a mere $1.29 at the iTunes Store, you may download the fight song to your iPhone. If you have an Android phone, word is that the same recording can be added to the ringtones of non-iPhone devices, as well. A portion of every purchase of this ringtone benefits the EPHS Alumni Association, so hop-on and download a peppy instrumental rendition of the renowned chorus from "The Orange & Black!" The bell, which for years pealed from the tower of Central School at what was then the east side of downtown El Paso, is now part of El Paso High. 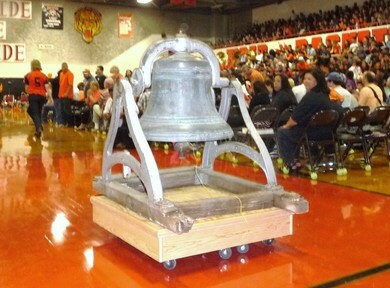 The bell arrived on campus on 15 October 2014 and was presented to the student body, faculty, and a crowd of alumni less than 48 hours later during the annual Homecoming Pep Assembly. 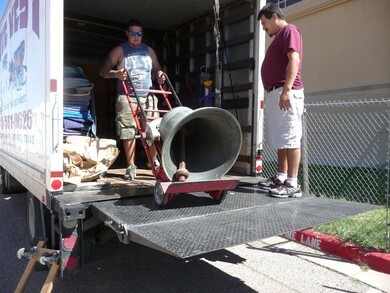 The EPHS Alumni Association coordinated the transfer of the bell from the home of Ken Thomas, a retired EPISD employee, and alumni volunteers and voctional education students at EPHS will take part in the reconditioning of the bronze bell and the refinishing of the cast iron yolk and cradle. The school bell was originally cast in 1885 in St. Louis, Missouri, by the L. M. Rumsey Manufacturing Co. which specialized in farm machinery and bells during the last quarter of the 19th Century until 1917 when the company closed. 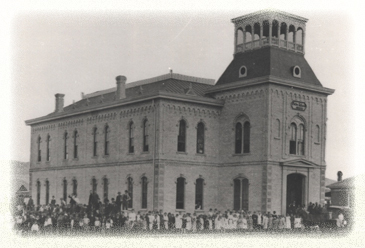 High School for El Paso started on the second floor of Central School in September of 1885. With the Old Central School Bell now at EPHS, an ad hoc committee is considering options on how and where the bell will be displayed. One proposition being given consideration is to mount the bell on a custom-made cart so The Old Central School Bell may initiate some meaningful new traditons at EPHS at the confluence of the end of the high school's first century and the beginning of it's second century of excellence in public education for El Paso. In this option, the bell may be used during football games to mark scoring plays by the Tigers; as signal indicting initiation or conclusion (or both) to graduations held in RR Jones Stadium; Memorial Day and Veterans Day Ceremonies on the front steps; Homecoming and Sun Carnival parades; and as part of other events on the campus and in the community. Ken Thomas, the donor of The Old Central School Bell, told media before the Homecoming assembly that El Paso High was the ideal place for the bell because a) El Paso High is the succesor to high school at Central School; b) the JROTC program at EPHS was a continuation of the first JROTC unit in all of Texas which was formed at High School, then at Central School and it was Major James Gaines, an EPISD Assistant Superintendent for JROTC who saved the bell from oblivion and possibly the scrap heap; and c) El Paso High has an alumni association which cherishes and preserves the history of The El Paso High School dating back to the early days at The Old Central School. Thomas also told reporters that he was very impressed on how competently and amicibly the personnel of the EPHS Alumni Association had acted in the three weeks since he offered the bell to El Paso High. The palpable excitement on the EPHS campus among students, faculty, and alumni, Thomas said, was evidence The Old Central School Bell has found it's rightful home. Read a report about The Old Central School Bell at these links: El Paso Times or EPISD . 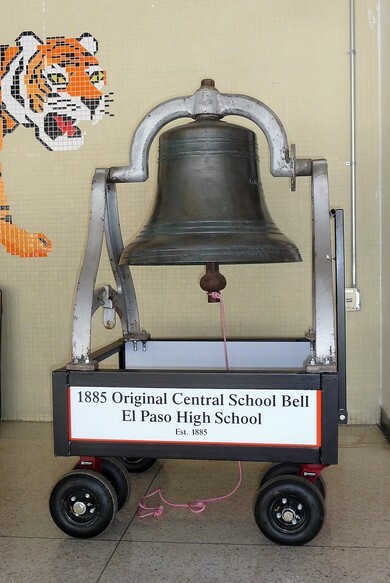 The 1885 Original Central School Bell is displayed below after the bell has been cleaned and mounted on a custom-built cart with sign panels added to identify the bell and tie it to its home, The El Paso High School. Fernando Lopez (Class of 1966) volunteered to paint the bell cart and Nancy Schwartz (Class of 1966) donated the required primer, paint and other supplies. Remaining to be repainted are original wrought iron yoke, holding the bell, and uprights, which cradel the yoke. On 25 April 2015, additional Centennial Commemorative Tiles were mounted on the backside of the press box at RR Jones Stadium, completing that installation. The second installation was begun on a wall between the Library/Cafeteira and the CD Jarvis Gym. To the left of the Tiger is a tile in tribute to Coach CD Jarvis with notation of the 1947 State Basketball Championship he lead. Next to that is a tile for Coach Ken Morehead recognizing his 22 years as Head Baseball Coach at EPHS. Further to the left is the tile purchased by Richard Crockett (Class of 1965) commemorating the Tiger basketball team of 64-65 which finished the season 3rd in State. 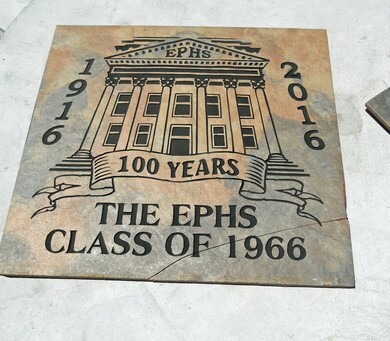 During the addition of tiles at the press box installation, it was discovered that the EPHS Class of 1966 tile was cracked and will have to be remanufactured. The Class of 1966 tile was one of only two tiles on the top row until the new additions were made; both those top-row tiles were cracked by undetermined causes. Each of those tiles, when remanufactured, will be added to a new installation on the EPHS campus. 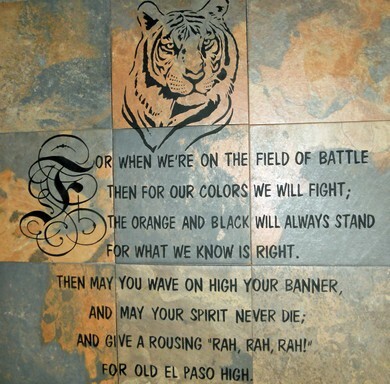 EPHS Centennial Commemorative Tiles may still be ordered from the El Paso High Tigers Friends & Exes. Find details elsewhere on this Home Page. 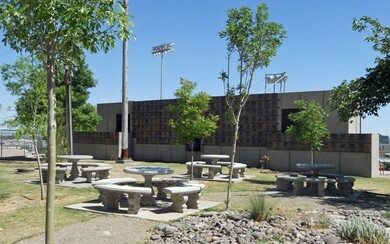 Proceeds from purchases of these tiles have been donated by the Friends & Exes to the EPHS Project 100, El Paso High School's PTSA campus enhancement and beautification project (find donation opportunities for Project 100 elsewhere on this Home Page). Installation of Centennial Commemorative Tiles on the backside of the press box at RR Jones Stadium is nearly complete and the El Paso High Tigers Friends & Exes are turning their attention to the second installation site for tiles: the wall surrounding the receiving area at the east end of the Library/Cafeteria Building. Centennial Commemorative Tiles may still be purchased at the price of $135 each, with up to three lines of text to salute alumni, a family, faculty member, or an enterprise which has been a support to EPHS during it's first Century of Excellence. To request an order from, use the Contact Us button on the Main Menu. Be sure to include your name, your E-mail/postal address, and a phone number at which you may be contacted, please. The 16" x 16" tiles, commemorating the EPHS Centennial, are a project of the El Paso High Tigers Friends & Exes organization. You may find additional images of the initial Installation of tiles at the press box in the EPHS Campus Photo Gallery. The second installation of tiles is expected to accommodate an additional hundred or so tiles. The EPH Friends & Exes initially donated $5,800 from tile sales to the EPHS PTSA for campus improvement and beautification also depicted in the EPHS Campus Photo Gallery. 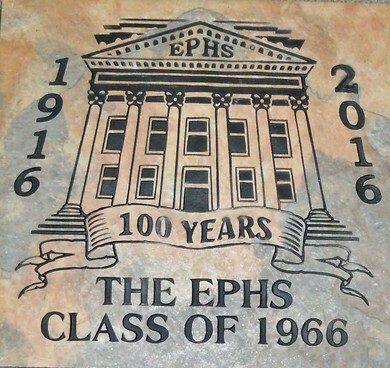 The EPHS66 Quinquagenary Reunion Organizing Committee voted to assure that EPHS66, as a class, would be represented among the tiles which become a permanent reflection of the school's first century as it embarks on its second century. This will link you to the KTSM-TV website for the story broadcast on 8 November concerning the football rivalry dating from 1930 between EPHS and Austin High and the interruption of that string of battles between the Tigers and Panthers in 1963 when President Kennedy was assassinated. Scientists are currently testing many promising treatments that could help reduce cognitive decline and delay the onset of brain disease. Yet a major challenge for research is recruiting participants for studies. Researchers need all sorts of volunteers to participant in clinical trials, not just those who are concerned about or diagnosed with brain disease. Healthy volunteers are often needed, for a variety of reasons. The Brain Health Registry aims to speed up the drug discovery process by matching eligible volunteers with the right research study. The brain health and lifestyle information shared by volunteers helps The Brain Health Registry efficiently identify what kinds of studies for which a volunteer may be qualified. Once the Registry has identified a study for which a particular volunteer may be a good match, the Registry will send an email describing the study and giving the volunteer more information about how to participate. 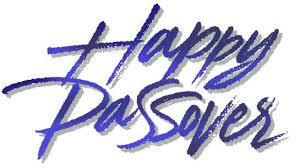 "You only understand the tradition if you were blessed enough to live it." See a satellite view of the EPHS campus via Google Earth http://googol/maps/Xwd0L. Planning for the 50-Year reunion of the El Paso High School Class of 1966 is underway. The reunion will coincide with the Centennial Celebration of EPHS (1916-2016) at it's majestic location “on the hill.” That's why this website has been created, to help bring the class back together for some fun, some reminiscing, and to keep fresh the memory of our departed classmates. Make a commitment today to be a part of the Quinquagenary Reunion: it's not a reunion without you! The Quinquagenary Reunion Organizing Committee has already formed and meets quarterly to plan a very special experience in 2015 or 2016. Want to volunteer or have suggestions for reunion events? Just send an E-mail through this website – first register, please. Find the Members Log-In box on this page and create your Classmate Profile. If you're not on the current list of classmates, please use the Contact Us tab on the left to get in touch. There is no cost to create a Classmate Profile and you decide what information may be displayed to other classmates. The Organizing Committee elected these classmates to head the committee: Chairperson: Steve Blumenthal; Vice Chairperson: Bob Novick; Secretary: Fernando " Fernie" Lopez; Treasurer: Norma (Martinez) Kernz. Reunion Committees are forming and volunteers are welcome (see Quinquagenary Reunion menu tab). In addition to working toward a meaningful and memorable Quinquagenary Reunion, the Organizing Committee is also dedicated to assisting with the George Hodge Monument Project. You'll find information about the project honoring your classmate below on this Homepage. Your contributions for the monument project as volunteer and as donor will be appreciated. Bookmark the ephs66.org website, return often, and look for new announcements as well as new Classmate Profiles. Help spread the word to other members of EPHS66 and friends from those good ol' high school days. If you Facebook, watch for news of the reunion, the centennial, and the George Hodge Monument Project at EPHS 66 Reunion 2016. Whether as a visitor or as EPHS66, we want you to enjoy this website. Tony Baldi is the website administrator so suggestions, problems, and compliments should be addressed to him through the Contact Us tab. Who is EPHS66? If you attended El Paso High School in the class that began as lowly 8th Graders in September 1961 and which graduated in May 1966, you are EPHS66. You needn't have attended throughout that five year period; you didn't even have to have graduated from El Paso High School; nor did you have to begin in 8th Grade: you are a member of the EPHS Class of 66 if you are a classmate and at heart an EPHS Tiger! Available Now! Take a virtual of tour of George Hodge Ball Park in the Photo Galleries menu tab. A Conceptual Image displaying the George Hodge Monument at the site in the ball park where it is to be erected. 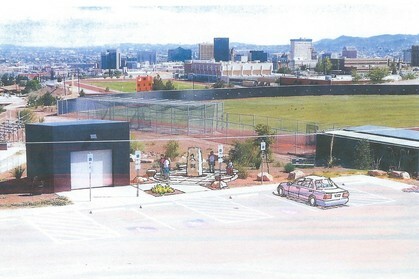 On January 8th, 2013, the El Paso Iindependent School District Board of Trustees approved an application from El Paso High School to name the new (completed in 2011) baseball & softball facility for EPHS in memory of George C. Hodge (EPHS Class of 66). The approved application included a monument concept of a tall hunk of quarried limestone on which would be attached a cast bronze plaque displaying a relief of George Hodge and a biographical sketch of him. When sending a donation by check, please write in the Memo “George Hodge Monument” and your EPHS Class above the date (e.g., Co1966). All donations will be acknowledged. The EPHS Alumni Association is an IRS 501(c)(3) non-profit organization; donations may be deducted for income tax purposes to the extent allowable. Any donation is welcome, but it is asked that all donors consider a minimum contribution of $15 – the equivalent of just $1.25 per month for a year. EPISD provides no funding for this project: all funds and donated materials and services must be collected from EPHS alumni and from the community. If you can help collect in-kind donations such as contractor services, transportation for the monument stone; the stone itself; etc., please contact Steve Blumenthal or Tony Baldi, administrator for this website, through the “Contact Us” tab. Carl Campos (EPHS Class of 69) volunteered to provide architectural services for the George Hodge Monument Project and has created four conceptual shemes for the monument and ideas for a paved plaza with coordinated benches to surround the monument. An EPHS committee adopted the design concept (see above) for the monument on 3 December 2013 from which final design work has been produced. 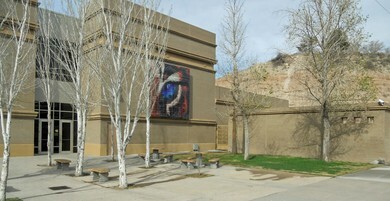 A architects rendering is displayed above, on the website of the EPHS Alumni Association (www.ephsalum.com), and will be used in releases to news media in El Paso. El Paso High School has been a part of you for decades. Now, as the historic "School on the Hill" is preparing to observe its Centennial, El Paso High Friends & Exes has devised a way for you to become a part of EPHS, literally. Above is the 16-inch square tile purchased by the EPHS66 Quinquagenary Reunion Organizing Committee with individual contributions. The displayed tile will be installed at the school to commemorate the Centennial Celebration. Each high relief, etched tile is custom made with from one to three lines of personalized text (limit 21 characters and spaces per line). A tile may represent a family of EPHS students, an individual, a graduating class, a business, or a message. The price per tile is NOW $135 plus $3 for each character over the alotted 60. Payment to El Paso High Friends & Exes. For more information or to obtain an order form, contact EPH Friends & Exes Treasurer, Sandy Aaronson by E-mail sandyaaronson@gmail.com or by phone 915-588-7888 (or use the Contact Us menu tab on the left to request an order form; be sure to include the E-mail or street address to which you want the form sent). 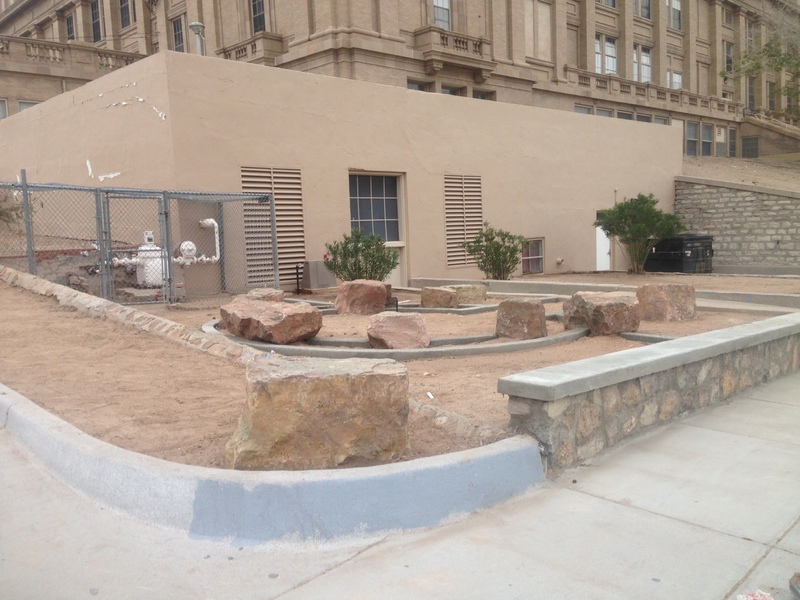 This is significant enhancement undertaken by the El Paso High PTSA, but it is by no means the only improvement undertaken by parents, faculty, and students to spruce-up the campus before the Centennial Celebration Year, 2016. Additional evidence of the PTSA Outdoor Improvement Project is now displayed in an EPHS Campus photo gallery open on this website. Thank to the donors who made the Bus Wait Area project possible. The PTSA is still in need of donations and sponsors for these additions to the campus through the end of 2014: Tree $200; Trash Receptacle $500; Classic 4' Bench $375; Classic 6' Bench $700; Classic Picnic Table $800; Round Table $900. Click on the SONSORSHIP FLYER links in the EPHS ROAR below for more information. The deadline for sponsorships is 1 January 2015. The EPHS Class of 1966 has contributed for a new tree planted at our venerable alma mater; individual donors have contributed for additional items. El Paso High Is Turning 100! The Lady on the Hill is turning 100 in 2016 and the PTSA has some very exciting projects to announce in anticipation of this historic event. 1. Because of an incredible gift by some very generous donors and the hard work and spectacular efforts of Jennifer Barr Ardovino and Desert Elements Landscape Design, LLC, the entrance along Schuster and Virginia will soon have new landscaping. Work will begin very soon. Our goal is to have this phase of the project completed by January, 2014. 2. You can participate in beautifying our beloved school and honoring your loved ones by making a general donation or purchasing trees, tables or benches for installation this Spring. All tables and benches will have a plaque stating in whose memory/honor the donation is made. All other donors’ names will be written on an El Paso High 100 Plaque, placed inside our school. 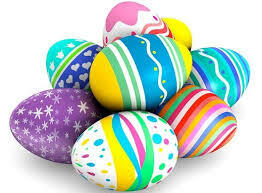 Deadline for purchases is March 1. The sooner items are ordered, the sooner they may be installed. Please see the attached flier and/or go to the EPHS webpage – www.tigerptsa.org for more information. Gloria Ambler, Monica Benjamin, the Mowles Family, the Hallmark/Slavin Family, Judy Templeton, Susan Urbieta, Dan Knapp, Kristina Legan and Mike Bonilla. The PTSA will again be selling Christmas Trees that will then be donated to EPHS. Look for a Tiger Roar announcement about this project soon. 4. El Paso High 100 will invite students to lead a national program, sponsored by El Paso Master Gardener Ileana Lazo-Kim, in partnership with Ms. Dawn Zumar. This group of students will learn about engaging in their environment and transforming spaces, all while serving and beautifying our school. Look for news about this exciting project coming soon...all students welcome. For more information you may contact Ileana L. Kim by email at ileanak@sbcgloglobal.net. We hope you will join us in celebrating our city’s oldest high school! If you would like to actively participate in this project or would just like further information, please contact Tricia Jay or Monica Henschel: elpasoptsa@gmail.com. We have many more plans to beautify our school and we could use your help to accomplish them. EPHS PTSA Facebook page is up and running! Check out the newest resource to find information on numerous colleges and universities, college readiness, as well as the schedule of upcoming college visits and scholarship opportunities. Copyright © 2013 El Paso High School PTSA, All rights reserved.